Whether you are undertaking home renovations or you have an unexpected problem with the piping in your home, you need to choose the right plumber to undertake the work. If you’ve never needed to hire a plumber before, it can be hard to know what to look for in a potential plumber. It’s even more difficult to know whether a particular service represents good value or not. Here are some of the most important things to look for when you are choosing a plumber to work in your home or business. Keep these things in mind during your search to ensure you end up with the best plumber for your needs. This is perhaps the most important thing to look for when you are considering hiring a plumber. Make sure that you check what their accreditation and certification are. Certain jobs require specialist training and particular accreditations. You need to ensure that any workers you hire are qualified to carry out any work you commission. There are a number of trade organizations whose stamp of approval is a clear mark that a trader can be trusted and is reputable. There are also organizations that provide this service to specific industries. Are They a Freelancer or a Business? In today’s gig economy, many workers operate as freelancers. In some cases, they sell their services through an agency who pays them in exchange for a steady stream of work. It can sometimes be difficult to know whether you are hiring the services of an individual or a business. It should be relatively easy to find this out – simply ask the person you are hiring. Whether they operate as an individual, a freelancer or a business might not seem important, and for the smallest jobs, it probably isn’t. However, your home insurance will definitely care about the difference. Legitimate workers will have insurance to cover the costs associated with any injuries or damage that occurs during the work. Make sure that any workers who will be working on your property have the appropriate insurance in place. You don’t want to find yourself facing liability for anything that goes wrong during the job. This is another reason why it is important to understand what capacity the worker is operating in. Even if you are hiring a friend to work on your property, you need to understand the potential insurance implications of having this person working on your property. 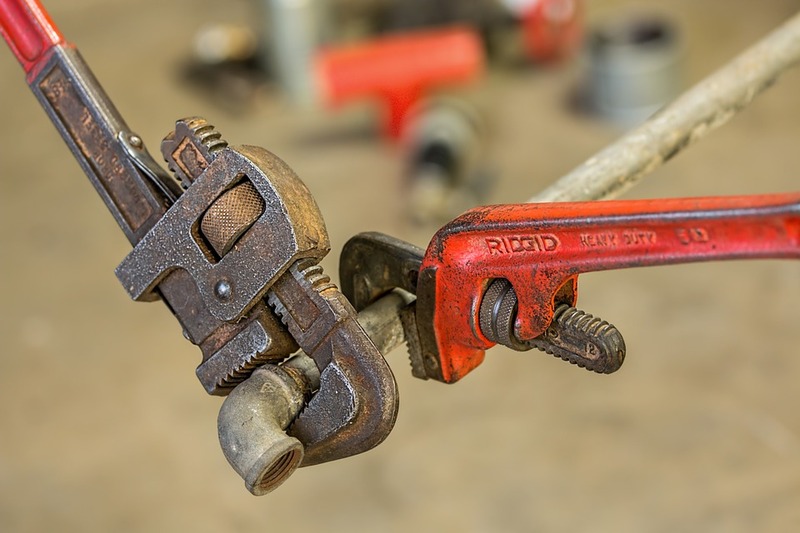 Some plumbing emergencies simply can’t wait until the next day. If you encounter a serious plumbing issue out of hours, you might need to look for an emergency plumber to come and fix the problem as soon as possible. When you are looking at potential plumbers online, make sure that you look for user reviews that indicate the kind of response time you can expect from them. As you may well expect, you will often have to pay more money for an emergency plumber to visit you outside of their normal working hours. However, if you have a real emergency on your hands, these guys are going to be your best bet. Both local tradespeople who operate independently and plumbers who work for national chains have their advantages and disadvantages. Local businesses and tradespeople will likely know your local area better and be able to reach you and address your problem faster than national businesses. The bigger chains and businesses tend to be more expensive than the smaller traders. On the other hand, national businesses tend to be more reliable, they are more likely to have additional staff on hand to replace any who are ill or unable to work. Engineers might take longer to reach you, and they will likely cost more, but you can be more confident in the work, and in the potential for the business to rectify any issues. You can tell a lot about a business or trader from the website that they have. A professional website is usually a good indicator of the professionalism of the website. You should also look for a comprehensive rundown of the services they offer and the qualifications they have; both of these will tell you a lot about the business. Knowing what plumbers can offer what services also helps you by enabling you to keep the details of a particular plumber on hand, ready for when you need work done. You can find directories of plumbers online, organized by area. These make it a lot easier to find a potential plumber to keep on standby. Have a look online for plumbing services available in your area, then head over to their respective websites to investigate them further. User reviews are incredibly useful for deciding whether a business is worth your time or not. There are plenty of places online you can look for reviews of plumbers. As well as websites that aggregate business reviews, you will also find social media to be a trove of useful information about local businesses. Don’t worry if there are a couple of negative reviews in the mix, as long as the clear majority of them are positive, you are safe trusting the business. When a plumbing emergency strikes your home and business, you naturally want to get it sorted out as soon as possible. Even a relatively minor plumbing issue can snowball into major damage to your property if left unaddressed. Whenever you suspect an issue with your home’s pipework, you should consult with a professional plumber to ensure that it is addressed promptly. Choosing the right plumber can be a major decision, depending upon the nature of the work. You need to carefully investigate any trader or business before you commit to using their services, but you should find it relatively easy to vet businesses online. Once you have found a plumber whose services suit your needs, you can keep their contact details on file for future use. It never hurts to have an emergency plumber on standby for emergencies.